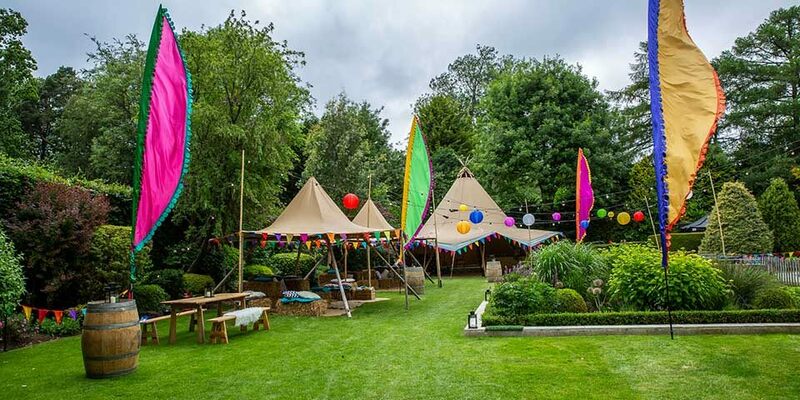 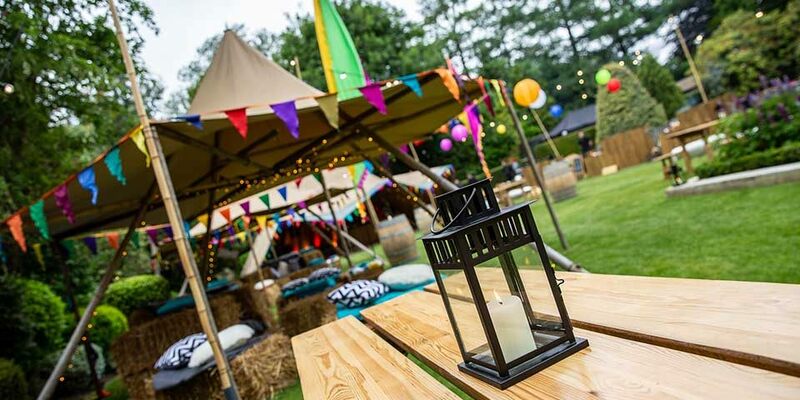 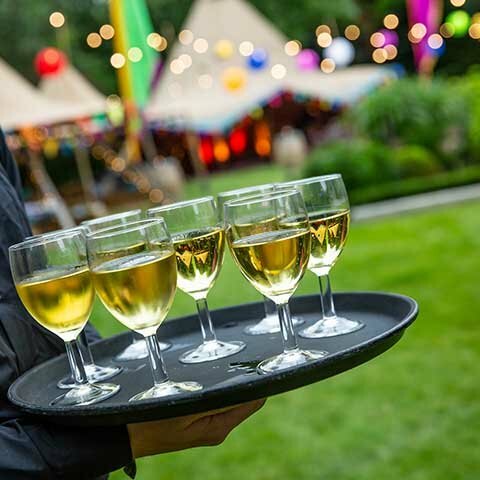 Our client’s garden in Tadworth, Surrey, proved a perfect setting for their 40th birthday festival themed party. 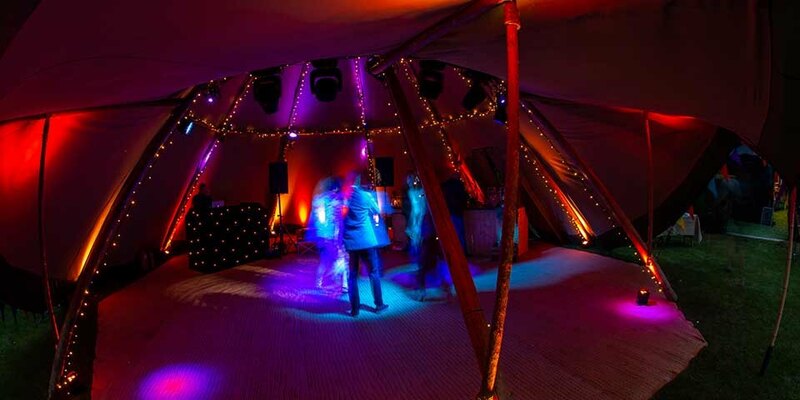 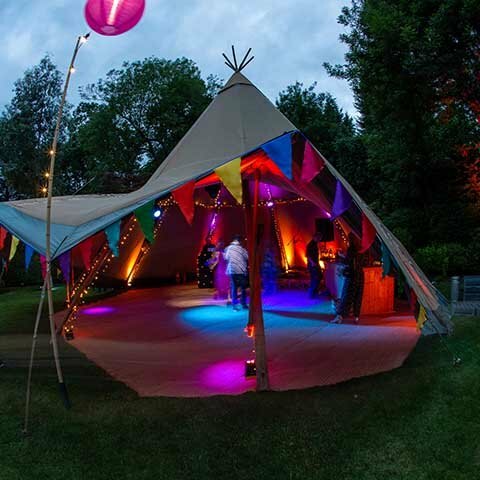 We put up a large tipi tent to create a dance area and several smaller tipis became shaded chill-out areas. 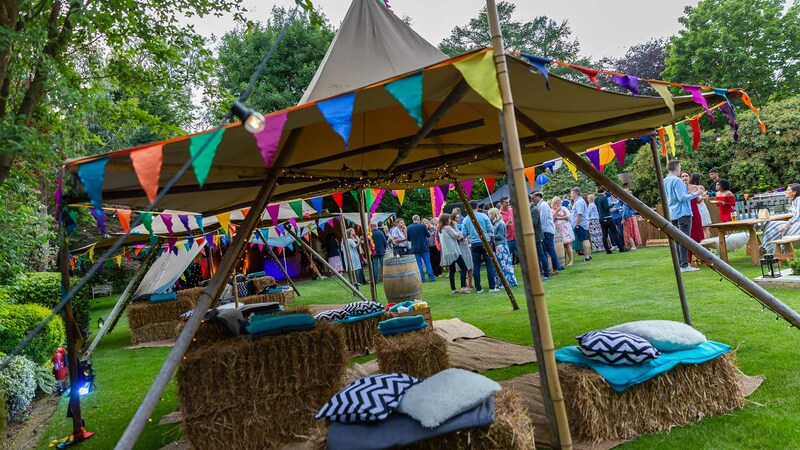 Straw bales with cushions and throws became rustic sofas and silk festival flags and bunting added bright and vibrant splashes of colour. 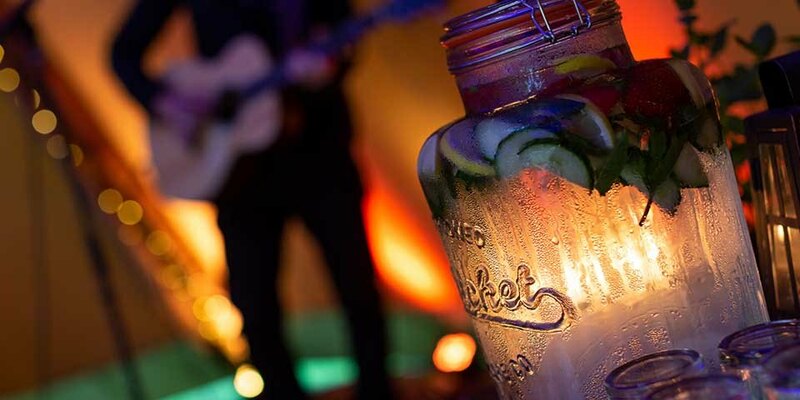 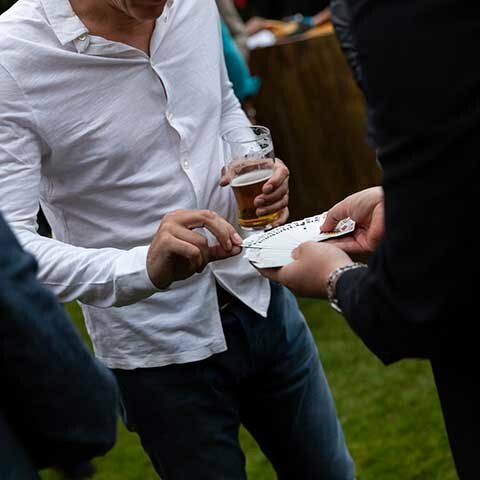 Guests were wowed by a close-up magician and a live band brought the festival theme fully to life. 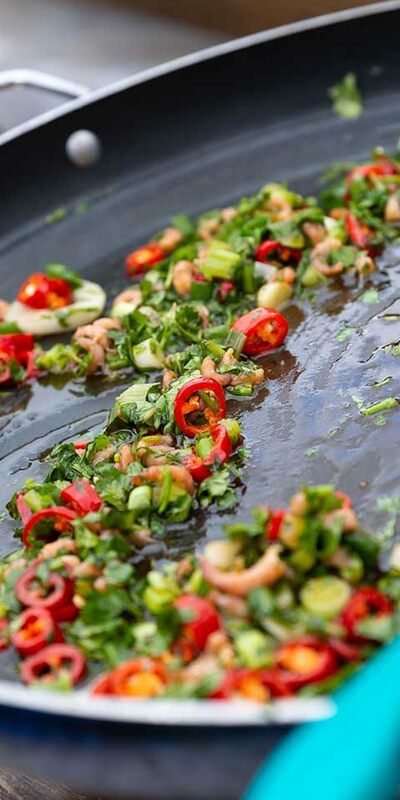 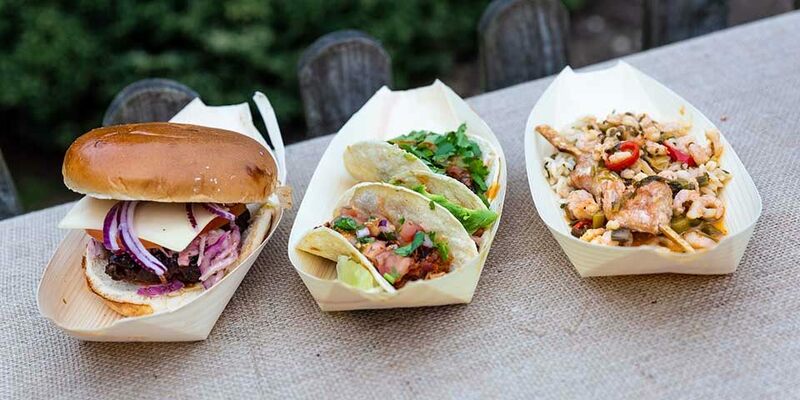 A range of street food stalls provided the catering – burgers, Thai and Mexican – and created a great sense of theatre as the food was freshly prepared in front of guests. 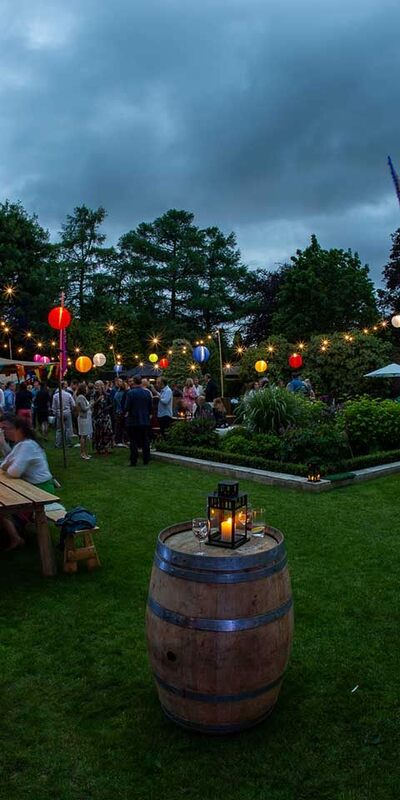 As night fell, the festoon lighting and colourful lanterns came into their own, creating a lovely atmosphere and signified that the party wouldn’t be stopping any time soon!